With more than 115,000 tons of salt on hand in the five-county Philadelphia region, the Pennsylvania Department of Transportation (PennDOT) says it’s ready to keep state highways passable in southeastern Pennsylvania this winter, a PennDOT news release said. “Our dedicated employees are prepared to deliver the best possible winter service under the worst conditions and we’re ready for the snow when it comes our way,” said PennDOT District Executive Lester C. Toaso. 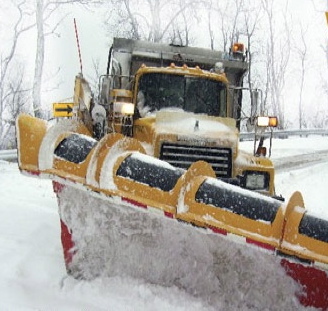 PennDOT will have 415 snowplow trucks available to operate in the five-county Philadelphia region this winter. The fleet is comprised of 182 state and 233 private contractor trucks, the release said. 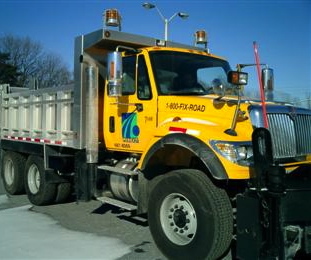 PennDOT’s 182 regional snowplow trucks are equipped with computerized salt spreaders that allow the operators to calibrate the exact amount of salt to be distributed regardless of the truck’s speed, the release said. PennDOT advises motorists to check road conditions before venturing out, to stay at least six car lengths behind snowplows when they are operating, and to avoid passing them. To keep snow from bonding to dry concrete or asphalt pavements, PennDOT will use 26 trucks to spray salt brine on heavily traveled state highways in the region. 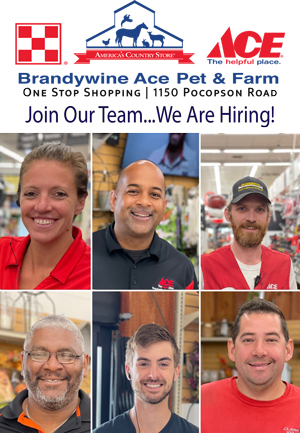 This fleet includes an 8,000-gallon tanker truck that sprays Interstate 76, Interstate 476 and Route 422 in Montgomery County. This tanker truck can spray three travel lanes at once and cover all three expressways without refilling. PennDOT has 191,000 gallons of salt brine on hand for the start of winter, the release said. In addition, PennDOT will have a snow blower available to move up to 1,200 tons of snow an hour. The snow blower, which mounts on a front-end loader, will be used in areas where snow drifts are prevalent. PennDOT maintains 3,589 linear miles and 11,106 snow-lane miles in the five-county Philadelphia region. A snow-lane is the distance of a road multiplied by the number of travel lanes, the release said. Assisting PennDOT this winter in the Philadelphia region are 97 municipalities that entered into winter maintenance agreements, whereby local crews salt and plow specified state roads in each municipality. If motorists encounter snow or ice-covered roads, they should slow down, increase their following distance, and avoid distractions. Last winter in Pennsylvania, there were 427 crashes resulting in two fatalities and 130 injuries on snowy, slushy or ice-covered roadways where aggressive-driving behaviors such as speeding or making careless lane changes were factors in the crash, the release said. PennDOT recommends that motorists carry an emergency kit, including items such as non-perishable food, water, first-aid supplies, warm clothes, a blanket, cell phone charger, and a small snow shovel. However, motorists should tailor their kits to any specific needs that they or their families may have. Consider adding such items as baby supplies, extra medication, pet supplies, or even children’s games. Motorists can check road conditions on major highways throughout the region and state by calling 511 or visiting www.511PA.com. 511PA, which is free and available 24 hours a day, provides traffic delay warnings, weather forecasts, average traffic speeds on urban interstates and access to more than 650 traffic cameras. 511PA also provides easy-to-use, color-coded winter road conditions for all interstates and other routes covered in the 511 reporting network. Todays snow proves again that PennDOT is good at blowing its own horn, and that is about all.